The road (the Skaw Road) cutting across above the houses was closed in about 2002 as being too dangerous. Looking at the landslips below it, this is hardly surprising. 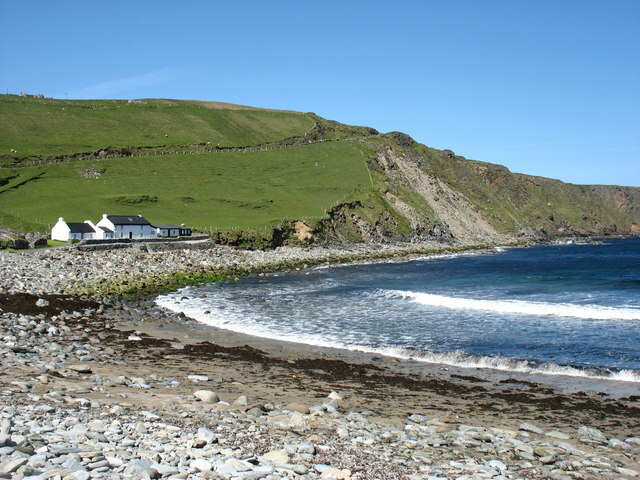 A new route (the Holsens Road) was added to link Skaw to the rest of Unst.